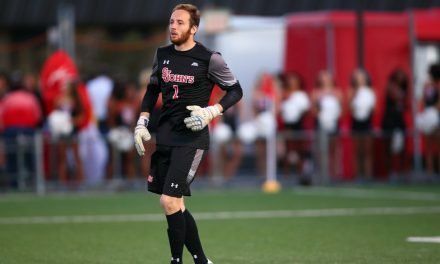 QUEENS, N.Y. – Matt Forster’s fourth goal of the season was enough to boost the St. John’s University men to a 1-0 victory over Seton Hall University in their Big East opener at Belson Stadium Saturday night. The victory marked the third consecutive season and the fourth time in the last five years that the Red Storm (4-3-0) has beaten Seton Hall (2-2-1) by 1-0. In 40 meetings against the Pirates, the most frequently played opponent in St. John’s history, the Johnnies lead the series, 25-12-3. The Johnnies also are unbeaten in their last four Big East openers. Forster found the back of the net in the 10th minute off a long pass from freshman Brandon Knapp. Forster’s four goals on the season mark a career high for the junior midfielder. Knapp sent a towering pass to the top of the box to a streaking Forster. The junior midfielder beat his defender for the 50-50 ball and chipped it over the head of a charging goalkeeper Andreas Nota. Knapp’s assist was the second of his St. John’s tenure. Both of Knapp’s assists this season have been game-winners. Senior goalkeeper Lenny Wilson earned his second clean sheet victory in as many tries, making a season-high five saves and improving his record to 3-1-0. 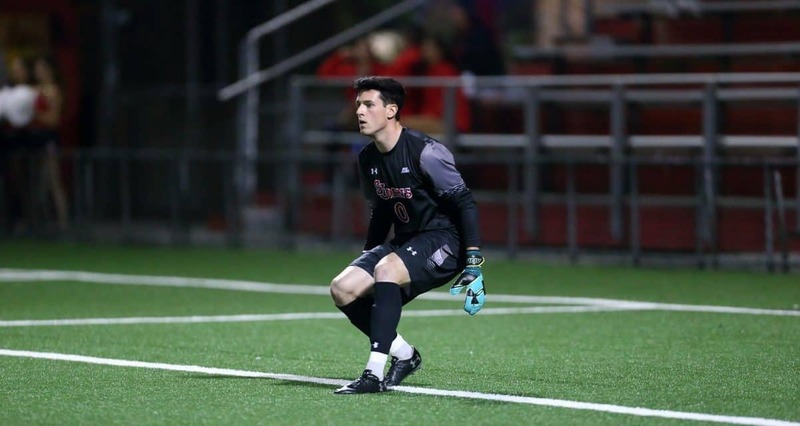 After Wilson made a save in the opening minute in the second half to preserve the lead, the Johnnies fired off two shots on goal in the span of 20 seconds in the 48th minute. On the second shot, Nota made a highlight-reel save at point-blank range, denying Skage Simonsen in the six-yard box. In need of an equalizer, Seton Hall tried to press the issue in the Red Storm’s defensive zone, but the Johnnies stood tall. The St. John’s backline of Knapp, Johan Aquilon, Kadeem Joseph and Tiago Teixeira neutralized several Seton Hall threats. Joseph, a junior college transfer from Herkimer Community College, made his Red Storm debut. St. John’s travels to Cincinnati for a 7 p.m. Friday showdown with Xavier University.